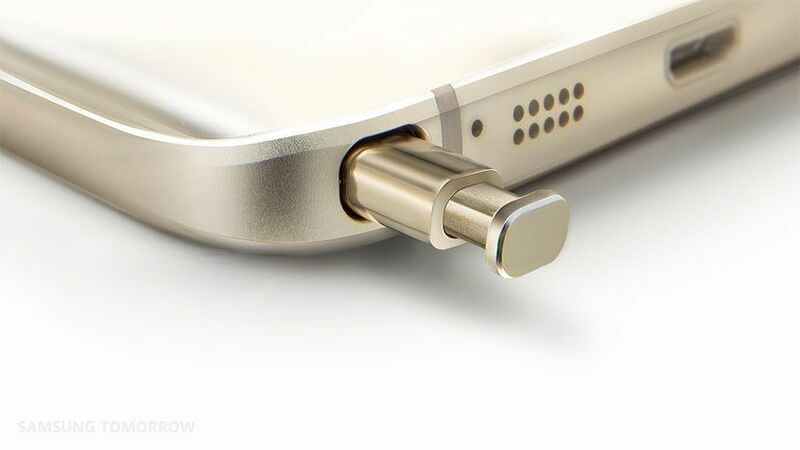 Since Samsung launched the Galaxy Note smartphone in 2011, the line has closely identified with its signature S Pen. 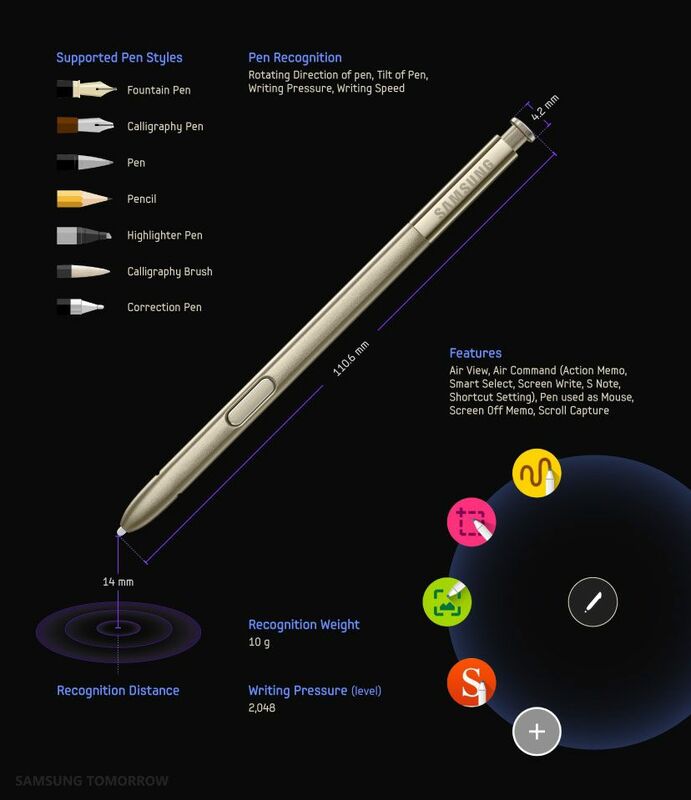 The versatile and easy-to-use S Pen gave users unprecedented power to take control of their digital lives, through the ability to write and edit content directly on the displays of the Galaxy Note smartphones. Now, with the latest edition in this series launched in August, the Galaxy Note5 boasts more ways to conveniently take notes whenever you need and then share them with your friends and colleagues. With just a few clicks and strokes, the S Pen lets you do more than ever and do it more easily. In addition to our previous article about the notable new features, the S Pen has gotten a significant upgrade, making it more responsive, accurate and fun to use. 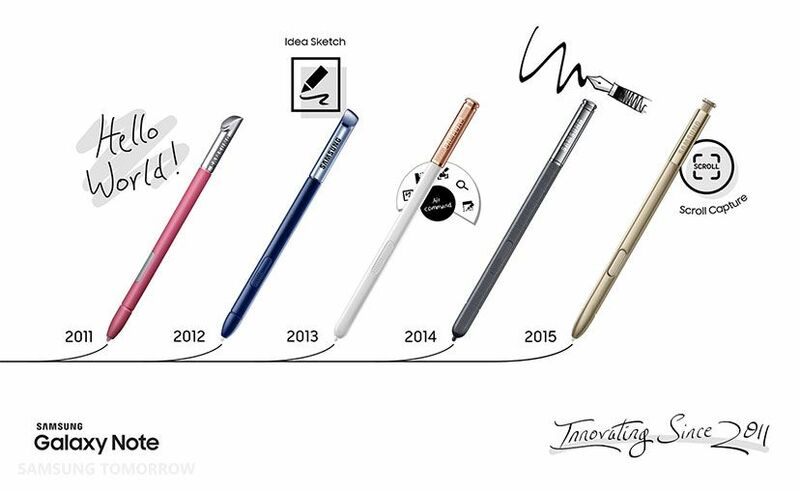 Let’s take a look at how the S Pen has grown over the years, as well as a couple of its most interesting new features. The most defining part of the Galaxy Note series is the S Pen, and the new, metallic version of the S Pen is the most elegant and useful yet. With a satisfying clicking motion, just like a retractable ink pen, the S Pen has the most natural-feeling writing experience. For instance, the reporting rate is 80 percent higher than the previous S Pen, making the S Pen incredibly responsive to your every touch. The Galaxy Note5 is remarkably precise, recognizing 240 data points each second, far more than the 60 points per second that a finger typically can create. In addition, the new S Pen has an incredibly low latency period—just 74 milliseconds, down from 93 milliseconds with the previous model. Adding up all these improvements means far more control and nuance to your writing, just like a real pen and paper. Using the S Pen is a simpler, two-step process: just remove the S Pen from the phone, which automatically brings up the Air Command menu, then select a feature. How often have you been talking to a friend or colleague, and suddenly found yourself needing to write down some key information right away? With the Galaxy Note5, you no longer have to spend time hunting for a pen and paper, or even take the time to turn your phone on, log on and fire up an app. With Screen Off Memo, you can take notes right onto your smartphone’s screen, without even signing in. Just eject your S Pen and start writing right on the dark screen, then save your message for later once you are done. Look for Screen Off Menu and switch to on. That’s all there is to it. Now you can take notes you want while on the go, anytime and anywhere. Another incredibly useful feature with the new Galaxy Note5 is how easy it is to share notes with your friends. Now it’s a snap, when looking at a website or any content, to capture part of the image, write your comments and share the new image with everyone. Eject your S Pen to bring up the Air Command menu. Choose the shape you want to select (Rectangle, Oval or, for any irregular shape, Lasso), then select your image. Select Write. Now you can jot down your comments right onto the image you’ve chosen. When you are finished, press Save in Scrapbook. Select Share. Choose how you want to share your note: by email, text message or other app. Choose your recipients and press SEND. There’s plenty more you can do with your S Pen, including the new Scroll Capture feature that lets you take one continuous image of a long website, so check out these tips, too. Along with the Galaxy Note5 other upgraded features—like improved SideSync to connect your smartphone to your PC, 4GB of RAM for faster multitasking and a slimmer, better design—the Galaxy Note5 and S Pen together help you get more done, faster, in a style that’s all your own.